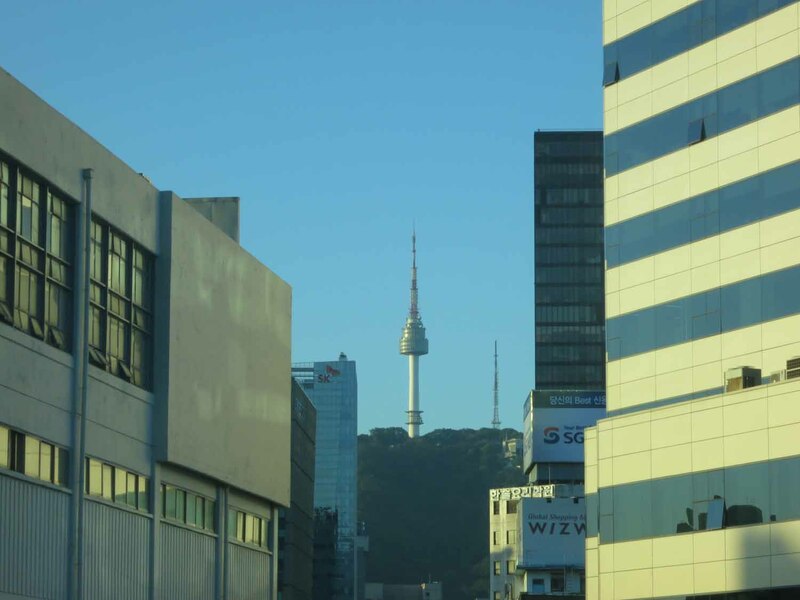 Insadong, Seoul, Monday 16 September, 7am. What more to report? I finish my packing. I ring home. I pay the bill. I hail the usual taxi in the street and get it to drop me off at the Koreana Hotel. I buy the bus ticket. I get on the KAL airport limo-bus. I get to the airport in the usual 45 minutes. I check in. It’s nice that, this time, I don’t have the admin of returning my rental phone to the company’s kiosk down two floors in the arrivals area. Instead, I make a few final thank-you calls landside, and sit doing not very much. I am pounced on by a market researcher for the Seoul City tourist office, who offers me a cloth to clean my glasses in exchange for 15 minutes of my time. I have plenty of time to spare, so answer a very detailed questionnaire about the purpose for my visit, and where I had gone. What performances had I seen? Was I a hallyu tourist? Was I a medical tourist? Had I come on a pilgrimage? I wonder what the Seoul Tourist Office does with all the information they collect. I completed it as accurately and as thoroughly as I could. I decided that I had seen a performance. I suspect they were thinking along the lines of a musical or a K-pop concert, but I put down the Sajik Daeje. The market researcher had no clue what I was talking about, and I doubt anyone in the tourist office will know what to do with that particular answer. I myself had never even heard of the event before I had stumbled over it on the Royal Asiatic Society Korea Branch website, and most of the Koreans I have spoken with have never heard of it either. 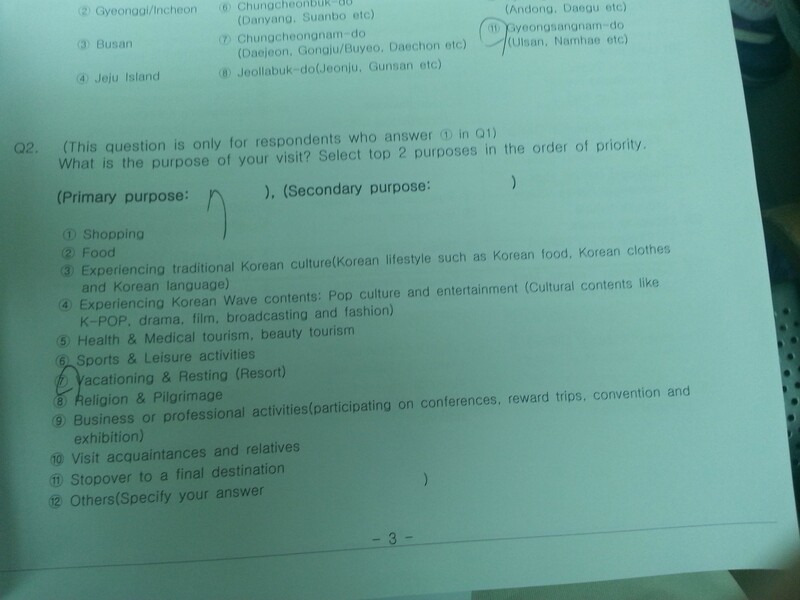 But looking back on my week or so, although my itinerary might have been difficult to encompass in a Seoul Tourist Office questionnaire, it perhaps illustrates the range of possibilities that offer themselves to a Hallyu 3.0 tourist. I feel a sense of closure and satisfaction as the experiences offered by my first high-intensity trip to Korea in 2010, at which I experienced the Jongmyo rites and visited the Sancheong Herbal Medicine Festival, had now been echoed by my return this year, as one of Sancheong’s goodwill ambassadors, to attend the opening ceremony of their entry onto the world stage with their International Traditional Medicine Expo. 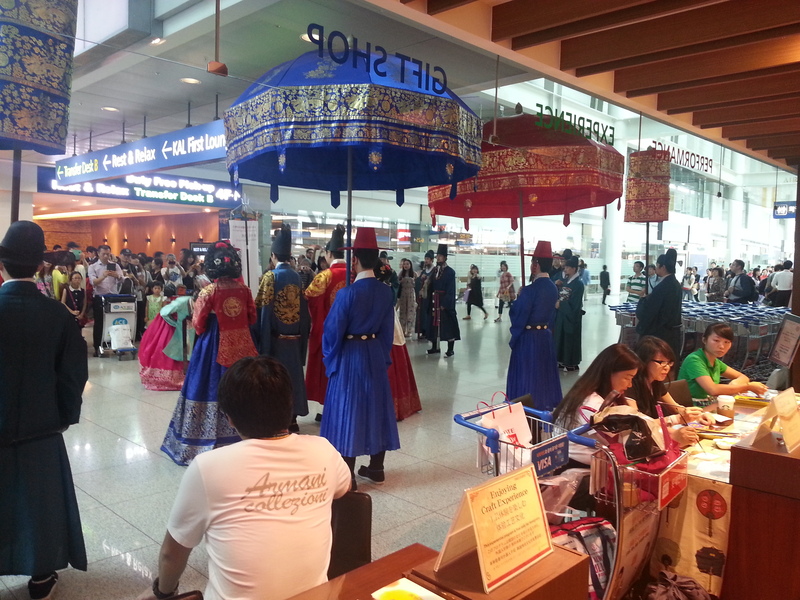 And I had rounded off my visit by witnessing the Sajik rituals, the other great royal ceremony of the Joseon dynasty. Before I can get caught by another market researcher I pass through immigration and take up position in the same lounge that I showered in 9 days previously. My stomach finds it craves the creamy salmon pasta that is on offer at 11am, which I follow up with a black coffee. I take a quick stroll around the duty free shops to buy some rice cakes for work, a look around the high-end souvenirs at the stores managed by the Cultural Heritage Administration. I pause to witness the pageant meant to depict the Royal Family Going On A Walk, which passes the time before I need to board the plane. On board, there’s more bibimbap, the same wine as before, and I try some more films: a desperately poor GI Joe II with its incoherent plot, not even the dazzling Lee Byung-hun making it watchable; Miracle in Cell 7, a sickly sweet drama which had success at the box office but which I found difficult to enjoy; and the one with no Korean connection at all: Star Trek into Darkness – a real guilty pleasure which put me in a much better mood. As I land at Heathrow, the sniffer dogs from the Border Agency fail to detect the dried doenjang in my suitcase, there’s no queue for the taxi, and apart from the badly phased lights at Hammersmith Broadway which extend a 25 minute journey by an extra hour and add £40 to the bill, I’m home without incident. Once again, I need a holiday to recover from my busy time in Korea, and another trip to Korea to fill in all the gaps and follow up all the leads I discovered as I look back over my week there. More time in Jeollanam-do is called for, maybe a focus on Korean gardens (certainly next time I’ll try the Seongnagwon, just north of Daehakro). As I start writing this account, I know that there will be much more that I should have done when I was there, but that will have to wait for the next trip.